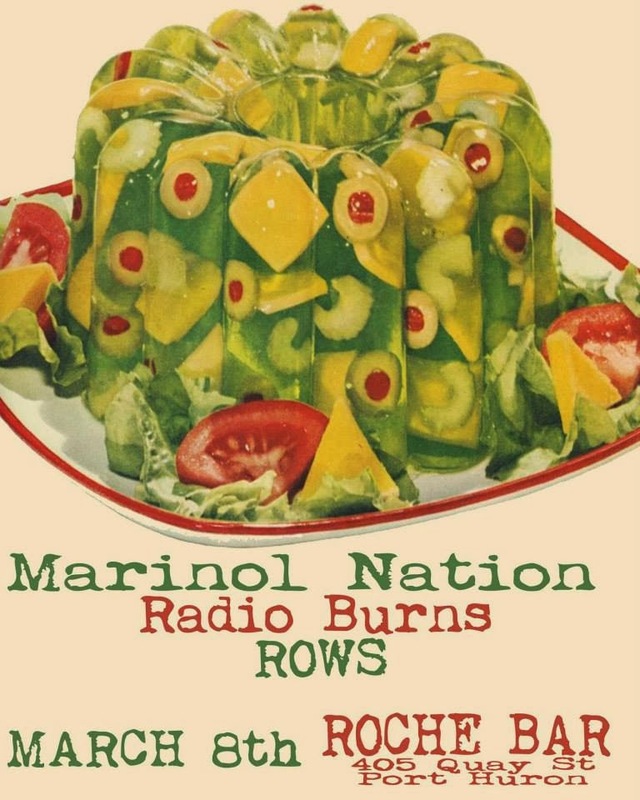 Described as "Daniel Johnston if he listened to the Rolling Stones instead of the Beatles" by fellow Sarnia compatriots the Chocolate Robots-Marinol Nation will be playing their brand of folk punk blues live in the USA for the first time. Find out more about Marinol Nation at their Facebook page here. Radio Burns are a Detroit Rock-n-Roll band that feature Port Huron's own Nick Lloyd (The Dirtys, Bantam Rooster) on drums. Get more info on Radio Burns here. Also on the bill are Sarnia indie garage blues popsters ROWS. Listen to some music by ROWS here. Find out more at the events page on Facebook.